Today we feature Sara Dowse whose historical fiction novel, As the Lonely Fly (For Pity Sake Publishing) will be formally launched on 24 June. Welcome Sara, and thanks for participating in Saturday Spotlight. So I guess you could say I started pretty young. I admire the work of most good writers and, thankfully, the world is awash with them. There are so many who have influenced me, but the one I remember most and talk about ad nauseam is John Dos Passos. I say ad nauseam because hardly anybody I know has ever read him and the others couldn’t care less. I know Phillip Adams has because USA is one of his favourite books too. Max Perkins, F. Scott Fitzgerald’s editor, didn’t like it at all – he thought Dos Passos was technically brilliant but short on the emotion side. I don’t agree. USA has everything – experimental prose, characters, stories, history, politics and the inner life too. It’s a dazzling achievement. The old Penguin edition a friend gave me years ago is a thousand pages of tiny print and is falling apart now. Adams says it’s an audio book but I’m not sure if it’s still in print. What I love about it is its breadth – he tried to come to grips with the mass society America had become by the 1920s. I would love to live long enough to do something similar, but of course I won’t. In a sense, West Block was modelled on it, but in a much smaller way. What inspired you to write your new book, As the lonely fly? I was working in Prime Minister’s* in the winter of 1974 when my mother came to visit. Coming from sunny LA, she wasn’t impressed with Canberra and was thoroughly fed up with what she considered the primitive heating in my Turner house, not to mention the demands of my job. You may remember that we were all about changing the world then, we feminists, and that meant femocrats too. One evening after work and the kids were in bed she said, ‘You know, you women think you’re such hot shots, the way you go on. You have an aunt who was a top-ranking Soviet apparatchik.’ My interest was immediately piqued. I had never heard of such an aunt. (In fact, she was my grandfather’s sister, my mother’s aunt, but in our family we never worried about such distinctions.) But according to my mother she had been the first woman on the Politburo, an associate of Trotsky’s. The minute I heard this I wanted to write about her. I began by enrolling in Russian at ANU and saturating myself in Russian and Jewish history. Then I started travelling, first to America to interview other relatives who knew her story, then to Israel, Russia and Moldova. But the story of my great-aunt wasn’t anything like my mother had told me that cold Canberra night. She had got it all wrong. That being so, the real story was even better. It took me years, however, to find a way to corral the breadth and depth of it. What are your ambitions for your new novel? I hope it does well for two reasons. I hope it contributes to greater understanding of how it came to be that the Jewish people, who have undergone discrimination and persecution for centuries, could find themselves displacing another people and subjecting them to great suffering. Through my research I came to the conclusion that the longing for a specifically Jewish state, however understandable in the light of rampant antisemitism, and particularly in the wake of the Holocaust, was a mistake, an anachronism, and any improvement of the dreadful situation we now have in Israel/Palestine, has to begin by acknowledging that. This is my personal opinion, if one shared by an increasing number of other Jews, including ones in Israel. But as a novelist my task was to raise the questions, not to give answers, and to do it in a way that works as literature, with characters that live in the reader’s mind. That’s the second hope – that I’ve done this successfully. How would you best describe As the lonely fly to a new reader? In the last three or more decades, since marketing has taken over so much publishing, books have been ruthlessly categorised. There’s historical fiction, or young adult fiction, or crime fiction, and so forth. Tell me, is Crime and Punishment crime fiction? You see what I’m getting at. To me, a good novel is a work of art. It begins with a story, or a person, or a predicament, and is expanded and refined with each of the essential elements – character, plot, setting and metaphor – each to a varying degree. 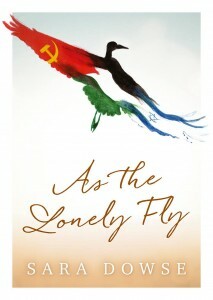 As the lonely fly has been described as historical fiction, political fiction, and an epic. To me, it’s just a novel, and, I hope, an absorbing one, that takes readers to other places in their thinking. How much research do you do? And how do you balance the demands of getting the facts right and telling a good story? Facts are important, but I can’t be beholden to them. I’m writing fiction. My first publisher, Brian Johns at Penguin, put it this way: fiction, he said, tells a different truth. I respect facts and try to stay close to them, more as a guide than anything. A kind of scaffold for the narrative. Do you plan / plot the entire story from beginning to end, or let it evolve naturally as the writing progresses? In terms of characters, are they already a firm picture in your mind before you start writing or do they develop a personality of their own as the story progresses? Everything changes as I write – that’s the intriguing part of it. At some point each of the characters takes on a life of her own. The question then is how much slack to give her, bearing in mind her place in the overall scheme of things. As for the scheme, I usually start out with one but, again, it changes as the narrative unfolds. Like the characters, the narrative has its own imperative. Do you read your book reviews? Do you appreciate reader feedback, even if it is negative? It’s one thing to receive negative feedback while you’re in the process of writing a book, another to find it in black and white on the book page of a newspaper or in a literary journal. Reviews are the price you pay for having one of the best jobs in the world, but they still make me nervous. The sad thing is that so few are little more than marketing exercises now. I’ve reviewed a lot myself and like to begin with ferreting out what the author is trying to do with her work and whether she succeeds or not, and if so why. I like reviews that give context as well as opinion. Reader reviews rarely give that, and the average newspaper review, what’s left of them anyway, is too short – 750 words is considered a long one. Except for the special review papers, like the London Review of Books, for example, and some of the online blogs or journals, reviewing may be a dying art. Tell us about a vivid childhood memory. I had a dream once, when I was very young – I couldn’t have been more than 18 months or so. I think it was a dream, but it could have been real, and it happened at a time when my parents were living together and they weren’t together long. It was night, I was in my crib, what Yanks call a cot, and I was either asleep or just drifting off. My parents tiptoed into my room with another couple – they were showing me off. ‘Beautiful’, one of the visitors whispered, and I saw myself as they saw me, head down, bottom up, in powder blue Dr Dentons – those pyjamas with feet in them, my hair a mass of blonde curls. The thing is, my hair was jet black. A dream is a wish, Freud has said, and that’s what I wished. To be as fair as all the princesses in my storybooks were. Because only blondes could be beautiful. If you could sit down for an afternoon with an iconic person (or not iconic, if you prefer!) from history, who would you choose to spend that time with? 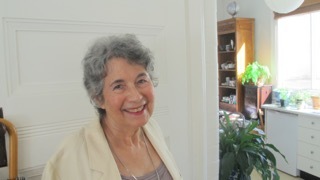 My grandfather’s sister Lisa – the inspiration for my novel. 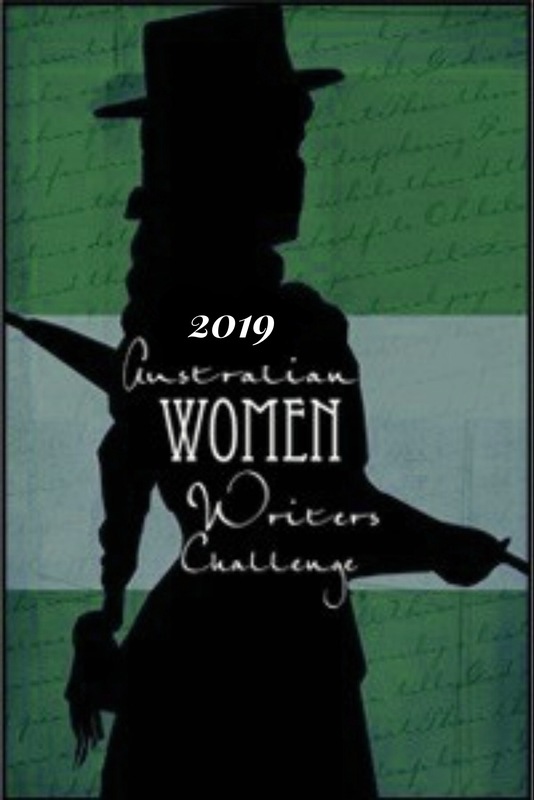 Are you aware of the Australian Women Writer’s Challenge, and if so, do you think it has had any impact on the profile of Australian women writers? Do you have any ideas for how the challenge could reach more people? I’m only aware of it from reading Whispering Gums but I’ve never been quite sure what it is. * Dowse was the inaugural head of the Women’s Affairs Section in the Department, during the Whitlam era. Her novel West Block draws on that experience. Fabulous Spotlight! I was keen to read this novel after reading your review for the last Historical Roundup Sue, I’m even more keen now. I love it when the inspiration comes from an author’s own family. Yea, agree, Theresa. That interested me too. It’s a complex book about complex times, which I really appreciated.